Wrocław (/ˈvrɒtswəf/; Pols pronunciation: [ˈvrɔt͡swaf] ( listen); German: Breslau [ˈbʁɛslaʊ̯] ( listen), kent an aa bi several alternative names), situatit in Central Europe on the Silesie Lawlands on the river Oder (Pols: Odra), is the lairgest ceety in wastren Poland. 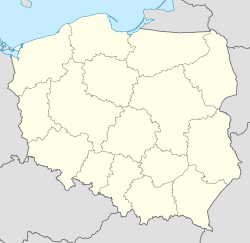 ↑ Ludność. Stan i struktura w przekroju terytorialnym. Stan w dniu 31 12 2011. ↑ "Sister Cities, Public Relations". Guadalajara municipal government. Archived frae the oreeginal on March 2, 2012. Retrieved March 12, 2013. ↑ "Wiesbaden's international city relations". Retrieved 24 December 2012. This page wis last eeditit on 11 Mairch 2018, at 08:58.